Pastor Ron West – His Journey With God! 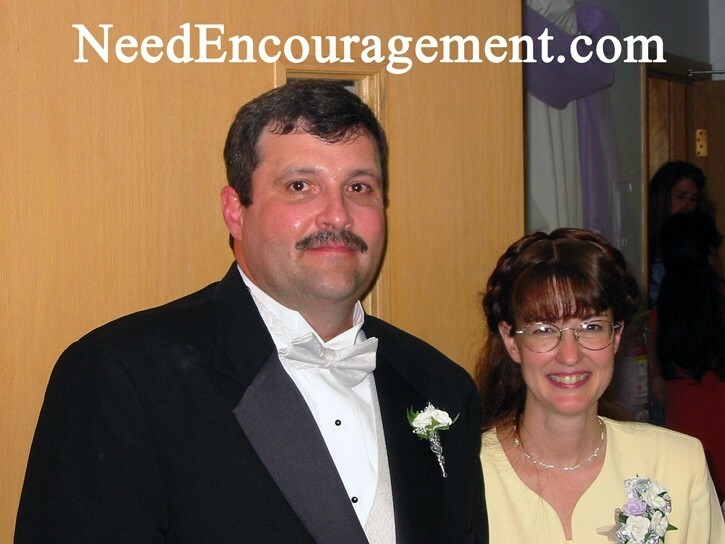 Pastor Ron West and his wife, Jean at their daughter Holly’s wedding. 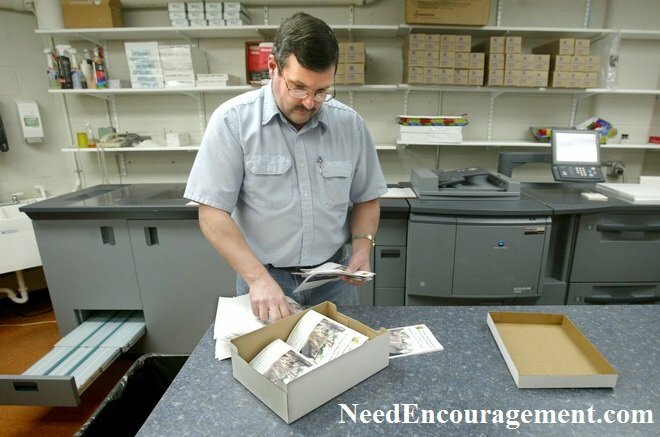 Over the years Ron attended New Tribes Bible College, worked in the print shop at Elmbrook church, and at Faith Indeed in a wheelchair ramp ministry, and is now a pastor in Oconomowoc, Wisconsin. Here are some encouraging scriptures about trusting in God. If you have any questions or need some encouragement in your cancer or life situation contact us. From left to right, Ron West, Bob Stukenberg, Bill Barry, and Bill Greguska. Praise God for his victory over cancer! 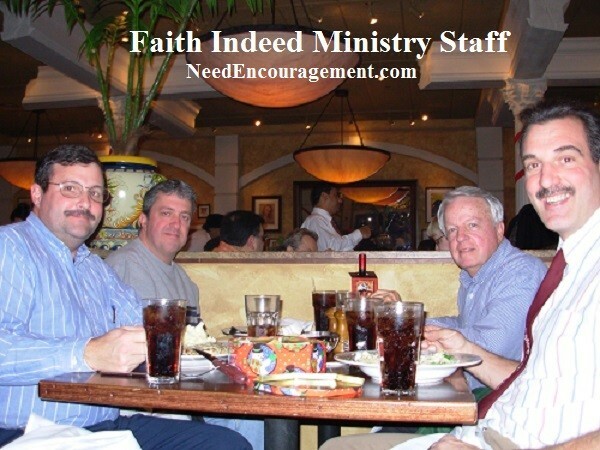 Pastor Ron West was my former boss when we worked together for a ministry called Faith Indeed. Ron and I built wheelchair ramps and helped the elderly and disabled in the Milwaukee and Waukesha, Wisconsin areas. To this day, we have been good friends for over two decades. Ron’s faith in God pulled him through a terrible fight with cancer. He is an honest, God-fearing, God-loving man who works hard and is a wonderful husband to his wife and an excellent father to his children! How much authority should a pastor have in a church? Should it be required that a man have formal Bible education before he can serve as a pastor? What does the Bible say about the role of the associate/assistant pastor? What does the Bible say about the role of the senior pastor? Pastor Ron West A Friend Of Mine For Many Years! Ron West has faith before, during and after his battle with cancer! Co-workers at the Elmbrook Church, and later at Faith Indeed. Ron West was my boss as we built wheelchair ramps for the elderly and disabled in the Milwaukee/Waukesha area for ten years. He is a very down to earth guy, with a big heart, very motivated and hard-working, with a strong faith in God. Pastor Ron West is the kind of guy who would do almost anything for you. Ron faithfully taught Sunday school at his church for many years and had been very active with his family, at church and work. Ron was my boss for Faith Indeed where we built wheelchair ramps for the elderly and disabled in both Milwaukee and Waukesha, Wisconsin. Our ministry in about 15 years, we built about 500 wheelchair ramps at no cost to the clients. Ron did both the organizing, and he also did many of the ramp construction too! Ron’s Faith Carried Him Through His Cancer! He has had a long-standing relationship with God and has been a man of integrity and faithfulness throughout all the cancer treatments that he has had to endure. Ron West Talks About His Fight Against Cancer! 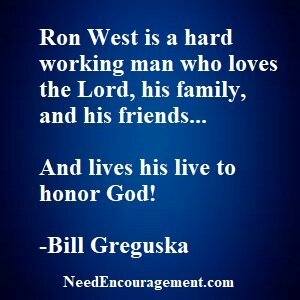 Ron West is not only a strong Christian man, but he is also a hard working man with love for the Lord and his family and others he comes in contact with in his life. Just a short note to update you on our situation. If you can believe a year has gone by since I had my stem cell transplant. Time for my one-year appointment, so I had a PET scan and bone marrow biopsy on the 16th of Dec. Jean and I went to the Dr. today and found out that my bone marrow was clean and my scan was clean also. I am officially cancer free. All of my liver numbers were normal too. They are going to be taking me off all the medications I am on over the next few months including the insulin. I have quite a few restrictions yet, but I am OK with that. But, I haven’t quit smiling all day, and I got permission to use the snow blower this year, which has made my wife euphoric. She hasn’t stopped smiling either. Thank you for your faithful prayers for us. I believe it has made all the difference in the world. Thank you for standing with us and being an encouragement to us. Please praise the Lord with us. To God be the glory. Jean and I want to wish you a Merry Christmas and a Happy New Year. We have a lot to be thankful for. Will 2014 be the year our Lord returns? Every Person Has To Make Their Own Choice! I have witnessed Ron West to be a man of integrity who loves God! Pastor Ron West Loves The Lord! Death is inevitable, but we can decide whether, on exiting this world, we will enter eternal torment or the everlasting beauty of God’s presence. People will be judged by Romans 2:1-4 not by their attitudes but by the truth of His Word. Scripture declares there is but one way to heaven—through faith in Jesus Christ. It is my prayer for each one of you. God Can Heal You As He Healed Me! Just a short note to update you on my situation. My Dr. visits are now getting farther apart. I am seeing the Dr. once a month and getting blood work done twice a month. So info now is coming slower, PTL. My Graft vs. Host is getting better, they have taken me off one of the drugs over the last month, and my liver counts were still healthy. That is a real answer to prayer. My liver is doing its job again. I am no longer a diabetic. 3 John 1:2-4 I have been taken off all insulin and my sugar readings have been average for a month now. Another answer to prayer, PTL. I am getting my energy back slowly but surely. I have been walking on a treadmill that has helped my endurance a lot. The Dr. feels if everything goes as it has been going, it will be ten weeks and I will be off most of my immune suppressant. I have been working four hour days which has been excellent. Thank you for standing with us in prayer, we have a lot to be thankful for. Ron Was Grateful to Share His Testimony With Others. The Lord has taught me a lot through this. PTL. Some days we awaken with aching joints and dull spirits and wonder how we can shake off our lethargy and make it through the day. Here’s an idea: Like David, try lifting up your thanks to God. Use mind and memory to rekindle thankfulness for all God’s “benefits” Psalm. 103:2. Gratefulness will lead to joy. Thank God for His forgiveness. He “forgives all your iniquities” (v.3), and “has cast all our sins into the depths of the sea” Mic. 7:19. Thank Him for healing your diseases (v.3). God uses infirmity and disorders to draw you more deeply into His love and care. And, one day when your Lord comes for you, He will heal all of your diseases. Thank Him for redeeming your life from destruction (v.4). This is more than rescue from premature death. It is redemption from death itself. Thank Him for crowning your life “with loving kindness and tender mercies” (v.4). Each day, He renews your strength and vigor. Then your spirit can rise and soar like an eagle. “Bless the Lord, O my soul, and forget not all His benefits” (v.2). Have you Thanked the Lord Today?